Andrea, a friend of Zach’s from work, asked if we could make her daughter, who is turning 4, a Hello Kitty birthday cake and cupcakes. 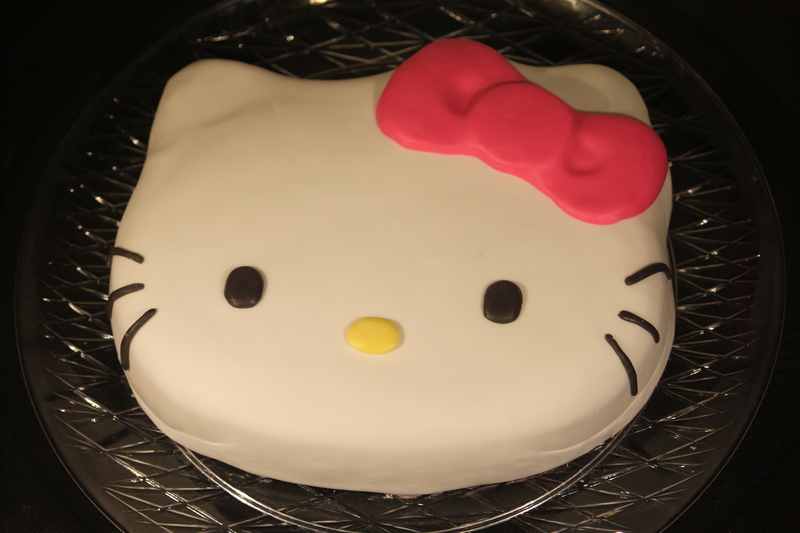 We’ve made a Hello Kitty cake before (with that cute HK pan from Michaels) but not cupcakes and I am so in love with those Hello Kitty cupcakes, I think they came out so adorable! 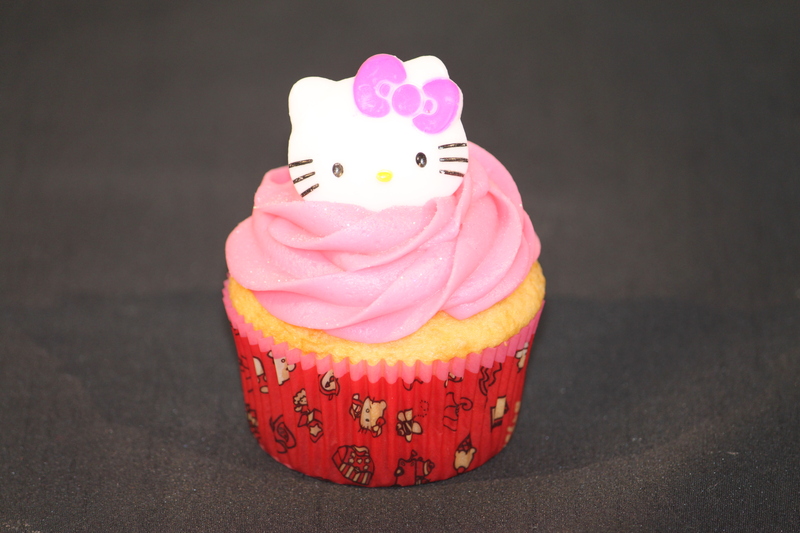 The HK cupcake liners are from Zurchers and the HK toppers are actually plastic rings that I found on EBay. I dyed our favorite buttercream frosting pink and sprinkled Disco Dust on them to make them sparkle. The cake and cupcakes are both white cake. It was a fun Hello Kitty day here at our house! Happy 4th Birthday to Ayva!